Gap offer personal styling in some of their stores now? Gap offer a free in-store hem and distress on their jeans? Gap offer a denim loyalty programme - buy 4 pairs and get £50 off the fifth? Gap could have me making tough decisions in the styling suite? 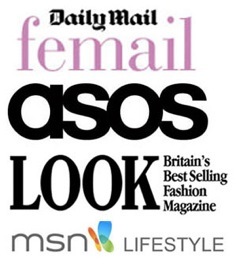 Gap are currently offering 20% off full price purchases online if you sign up for email? Gap have a petite range online? Last night I was invited to the Cardiff Gap store for a preview of AW15 and to celebrate the launch of their personal styling service...I'm a sucker for a glass of two of bubbly and before I knew it, I'd gathered an enormous (two-man-job) pile and headed to the styling suite for a huge try on sesh. I've always seen Gap as a good go-to for the basics, a good tee, plain knits etc and although that's all still there, there's more, much more. 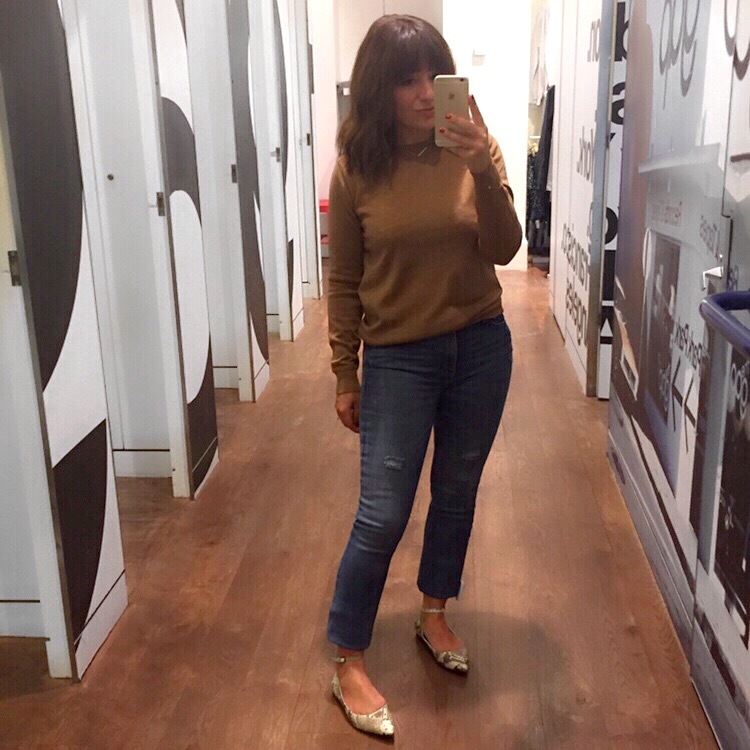 The most incredible fine Merino wool knit...It's available in several colours but I was drawn to this camel one as it's the perfect replacement for the Topshop one I wore to death last winter - Buy here. These slightly distressed jeans are amazingly soft, albeit a little long for me (hence the turn under)...These are being hemmed in store (for free) as I type. Size wise, I went down a size as the sizing is generous. Buy them here. Then came the shoes... If you follow me on Instagram (come and say hi!!) then you would have seen these last night and all the love they got. The pointed ballet pumps are sheep leather, I went up a size , mainly because my feet are as wide as they are long (pretty much). Another pair of flats!!! These are available in snake print and black. I'm so pleased with this purchase!! As a slave to anything striped, I have searched for the perfect dress and last night it found me! Again, generously sized so I've ordered the XS as this one was a little too big for me. Buy here. Ankle boots are everywhere right now and you've gotta' catch up if you haven't invested yet! Wear with jeans, skirts, dresses...errrrrything. These come in a sand colour and the black. Buy here (ps. go down a size). Every season I invest in a new denim shirt of sorts, it's what I do. This one is the softest ever, passed the scrunch test (thanks Nan) and is longline so perfect with leather leggings or with a belt and skirt. Buy here in blue and here in light grey. Lastly, a red bag..shoulder or chuck it across you, this one is gorgeous and less than £25 (full price) - I'm a huge fan of the tassel action too. Buy here. Seeing the edit all lined up makes me stupid excited for the new season. What do you think of my edit? Did you know...? Looooove all these pieces.....v jell!! Some wonderful pieces! 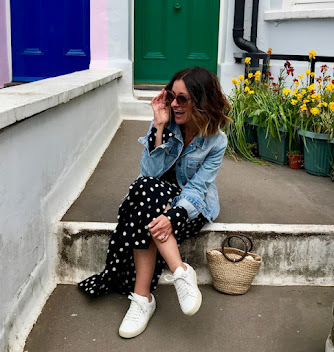 I actually love Gap, I have so many pieces in my wardrobe - their denim is just so affordable!